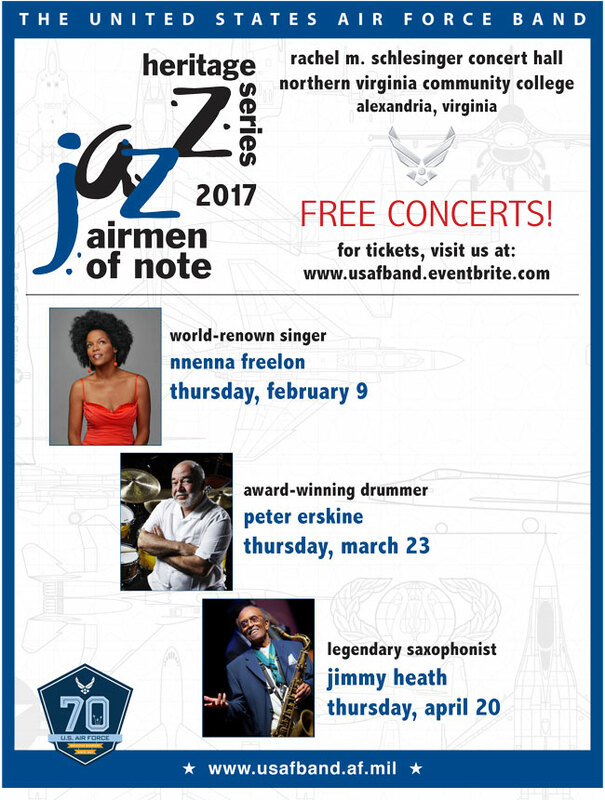 The Airmen of Note’s Jazz Heritage Series, presented by The United States Air Force Band, provides a wonderful opportunity for the public to experience the Air Force’s high level of professionalism through concerts featuring masters of the only American-born art form–jazz. All concerts begin at 8 p.m.
Concerts are FREE and open to the public ~ tickets required. Any unclaimed seats will be released to non-ticketed patrons 15 minutes prior to each performance. Download the JHS Flyer here.